so if anyone has any recommendations please tell me? You could buy some shells and machine the entire gun yourself. I did consider that myself for a while. 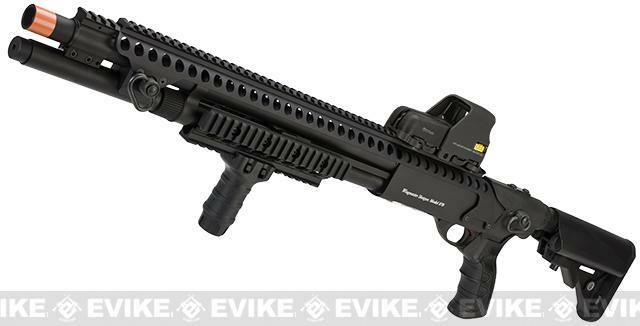 Also, you could try importing a real 'tactical' 870 without the firing pin or the main barrel. "for airsoft". I tried to look into a way to do it with a UTAS UTS-15 but i was not able to find a way to do it without going outside the country. For some reason people won't send real guns to the UK even though they're not complicit in any crime.